The Mediterranean’s largest island might only be a few kilometres away from the mainland, but the local cuisine offers something completely unique thanks to the strong North African influence. Here are the flavours, ingredients and dishes that make it such an exciting place to visit. There’s something quite magical about Sicily. Shrouded in myth, the Ancient Greek king Odysseus visited and said he found a tribe of Cyclops living there, and while that’s almost certainly fiction, the island was home to a species of prehistoric dwarf elephants, whose skulls might have been mistaken for the one-eyed monsters. Since then, the island has been conquered by everyone from the Byzantines and Berbers to the French and the Spanish. 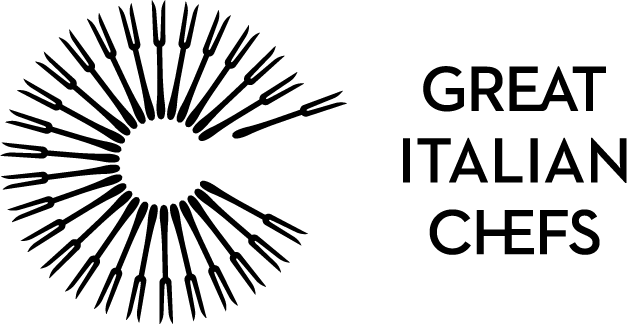 It was eventually unified into Italy in 1861, but by then the melting pot of cultures on the island had given it its own identity far removed from the mainland. The local cuisine is a fantastic example of this. 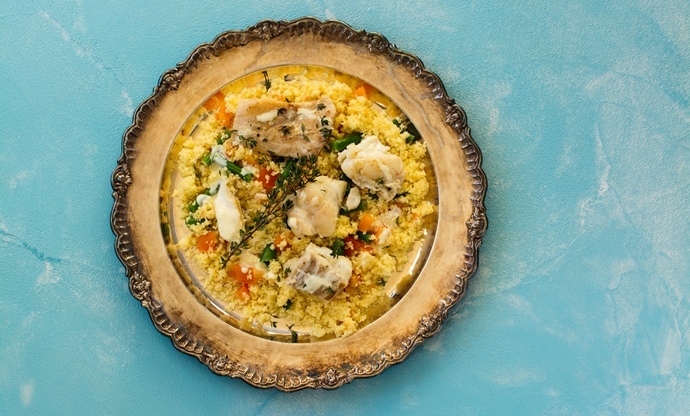 Being just across the water from Tunisia means there is a strong North African feel to both the food and the architecture, with dishes like couscous and ingredients like pine nuts, aubergines, raisins and saffron making up an important part of the diet. 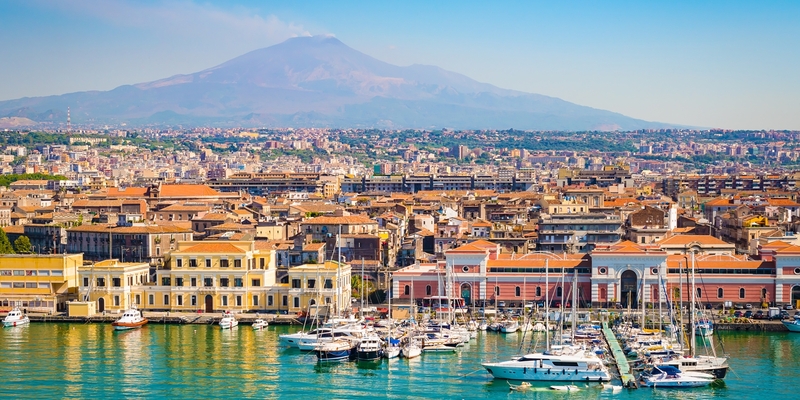 This is especially true in the west of the island, with the provinces of Trapani, Palermo and Agrigento quite different to the eastern areas of Messina, Catania, Siracuse and Ragusa (which are more Italian). Sicily’s most famous dishes are based, of course, on fish and seafood, but the island is also famous for its cheese, citrus fruits and nuts. Take a look at our Sardinia hub for a real in-depth look at the island’s gastronomic prowess, or read to learn about the dishes and ingredients to keep an eye out for when visiting this incredible island. Along with Sardinia, another Italian island to the north, and parts of Tuscany, Sicily produces bottarga, the salted preserved roe of tuna and grey mullet. In Sicily they opt for tuna over mullet, using traditional methods of fishing with mattanza nets to catch the fish. Once the roe is cured with salt it forms a hard block that’s then shaved or grated over dishes (much like Parmesan). The resulting flavour is bursting with rich umami, making bottarga one of the most highly prized ingredients of the island. 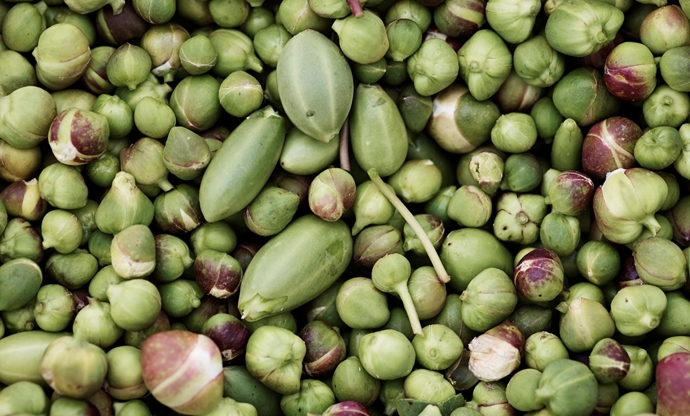 Capers are produced all over Europe, but on the small Sicilian island of Pantelleria there’s a specific type of caper plant that produces some of the sweetest, most flavourful buds in the world. These are exported globally, but many of the finest examples stay in Sicily, either eaten as antipasti or used in local recipes. 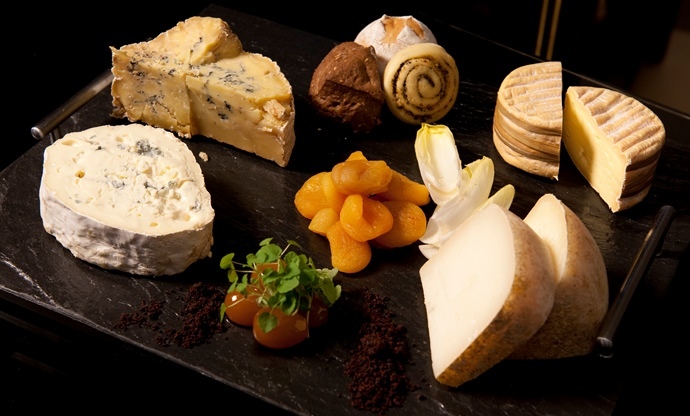 Sicily is home to several very famous cheeses made from both cow’s and sheep’s milk. The local pecorino is highly prized, as is the ricotta salata, fresh sheep’s milk ricotta that’s rubbed with salt and left to mature until firm. Caciocavallo is made from cow’s milk and is favoured for its intense taste, often being used by local chefs who grate it over pasta. In the Sicilian city of Modica, chocolate has been made in a very unique and traditional way ever since the Spanish brought cacao to the island in the seventeenth century. 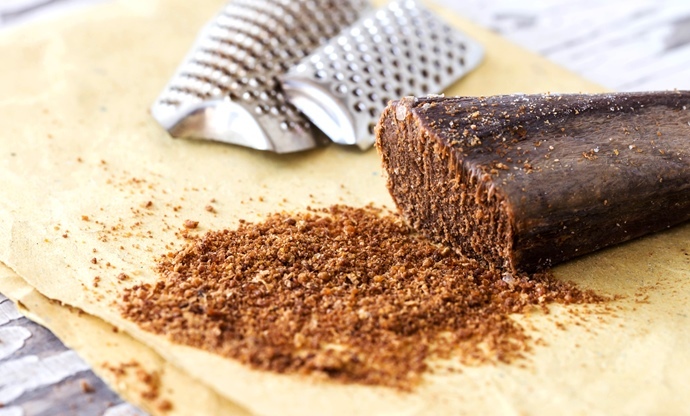 The beans are ground rather than conched and mixed with sugar and spices before being shaped into bars and set. 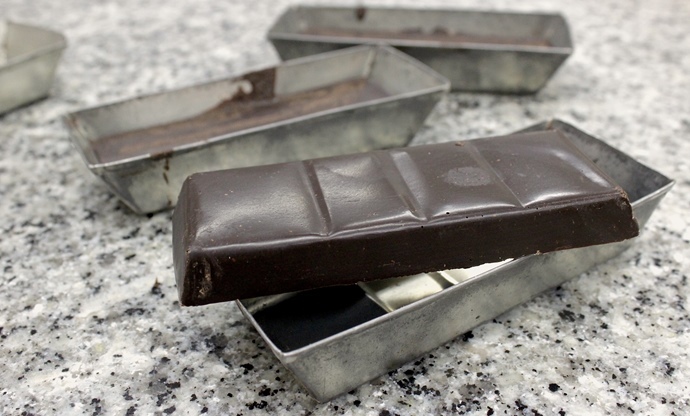 This results in a grainy, rustic type of chocolate which is much similar to how the Aztecs enjoyed chocolate than the refined bars we know today. 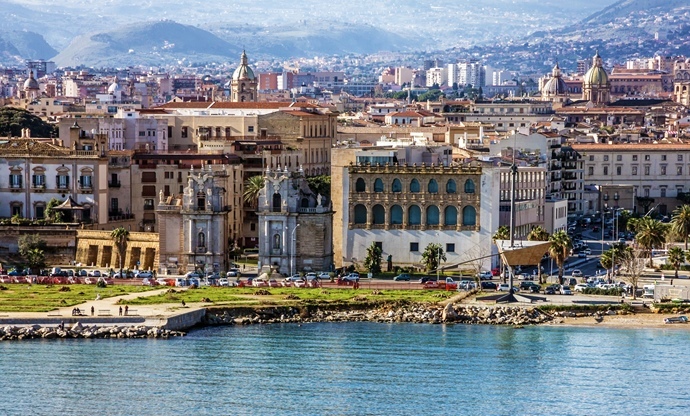 The Arab invasion of Sicily in the ninth century resulted in many citrus groves being planted on the island, and today Sicily is renowned for its oranges, lemons, mandarins and clementines. 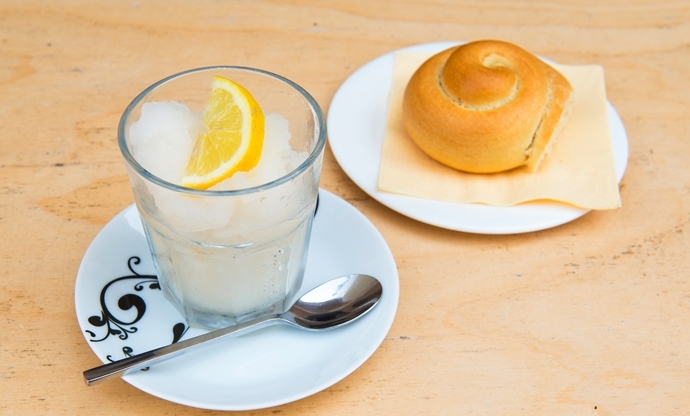 They’re so special that they’ve been granted PDO protection from the EU, and are used in the local cuisine to create sweets such as lemon granita, a common Sicilian breakfast dish served with a freshly baked brioche bun. One of the best things about Sicily’s cuisine is, of course, its fish. Being in the heart of the Mediterranean Sea means there is an abundance of species for the local fishermen to catch, the most highly prized being tuna, sardines, anchovies and swordfish (which unfortunately today is heavily overfished and quite unsustainable). 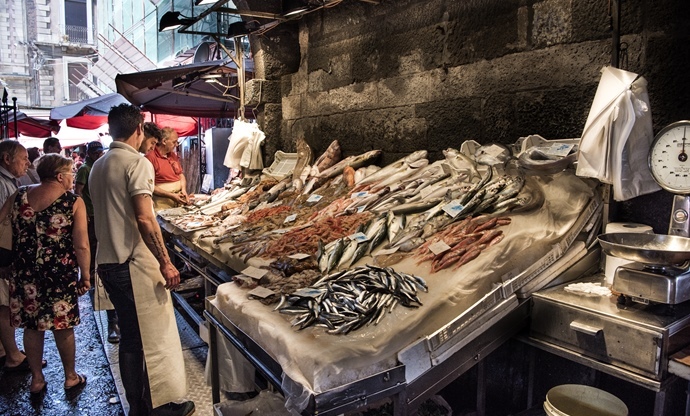 Because the fish is so fresh it’s often eaten raw, although much of it is also cooked simply, often stuffed with various Sicilian ingredients such as pine nuts, raisins and even ricotta. With so much fresh fish and seafood available, Sicilians tend to eat less meat than the average Italian, but that doesn’t mean it can’t be found. Arancini, for example, are often stuffed with a beef ragù, and horsemeat is also a popular local delicacy. 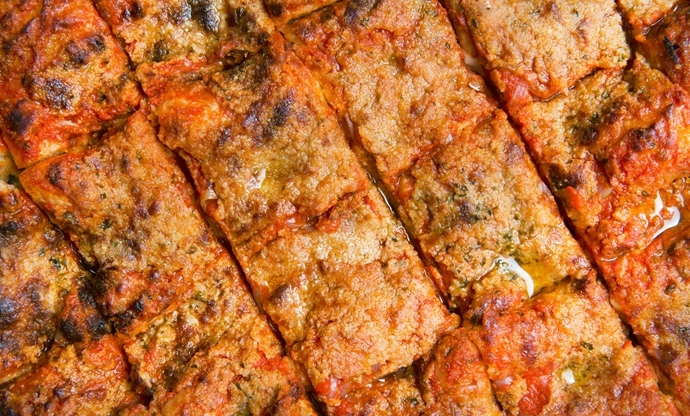 The most famous Sicilian meat dishes often revolve around offal, however, as it was a cheap and affordable ingredient. 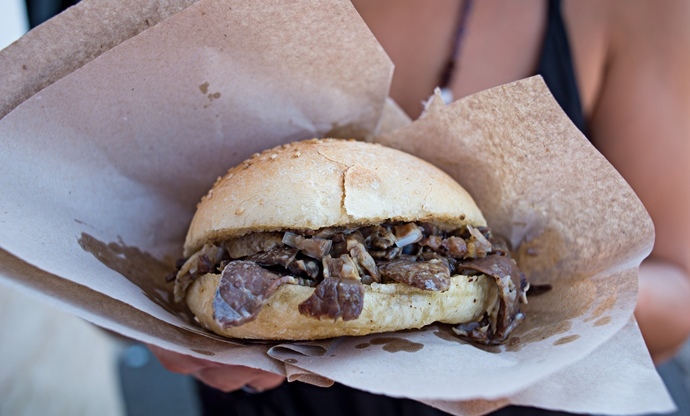 Street food stalls can be found serving pani ca’ Meusa (a bread roll stuffed with calf’s lung and spleen) or stigghiola (skewers of sheep intestine). If you can stomach it, it’s a very popular and authentic dish on the island. 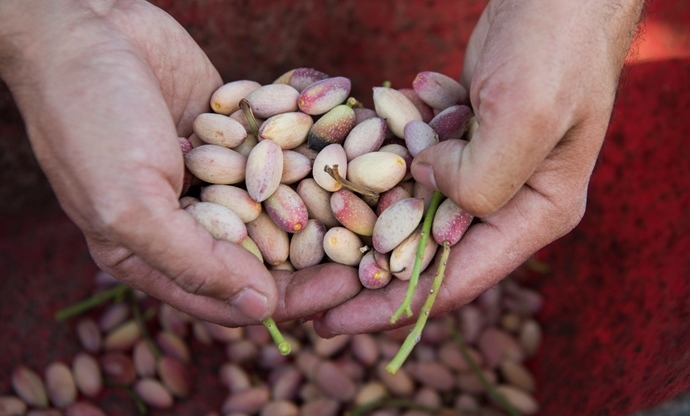 Verdant green and jewel-like purple pistachios from the Sicilian town of Bronte are regarded as the best in the world, but they come at a price – because the trees grow on the volcanic slopes of Mount Etna, they have to be harvested by hand. However, if you’re a fan of pistachio gelato or any dessert flavoured with these incredible nuts, Sicily is where you’ll find the best in the world. Along with fish, seafood is a major part of the Sicilian diet. 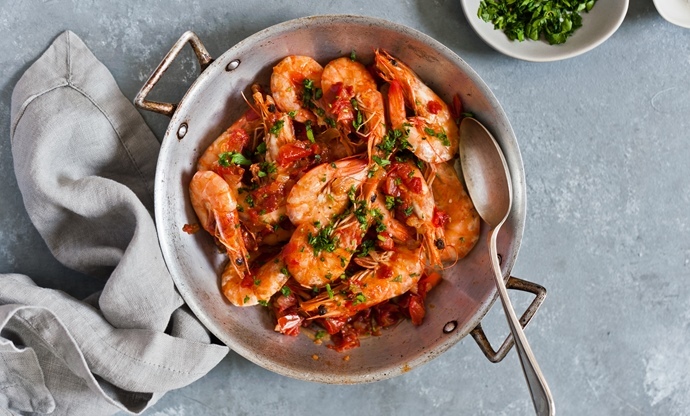 Octopus, squid, mussels and clams are a common sight at Palermo’s famous seafood market, but the jewel in the crown has to be the gambero rosso – a bright red prawn renowned for its sweet, succulent taste. Sea urchins are also popular, as is cuttlefish. You’ll see huge piles of these delicious snacks all over Sicily, and they’re a must-try when visiting the island. 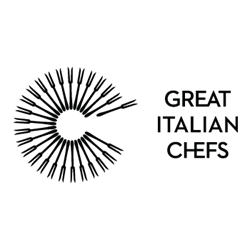 Cooked risotto is chilled and formed into a ball that’s usually stuffed with a meat ragù or cheese, before being covered in breadcrumbs and deep-fried until crispy. Depending on where you are on the island both the recipe, filling, shape and spelling of arancini can change, but one thing’s for certain – they’re all absolutely delicious. Of all the sweet snacks found in Sicily’s bakeries, cannoli have to be the most famous. A cyclinder of pastry is deep-fried until shatteringly crisp, before being piped full of silky, creamy ricotta and sometimes finished with cocoa, crushed pistachios or candied citrus peel. These little rolls of swordfish are an incredibly popular dish on the island (although be aware swordfish is overfished around Sicily so isn't the most sustainable dish to eat). 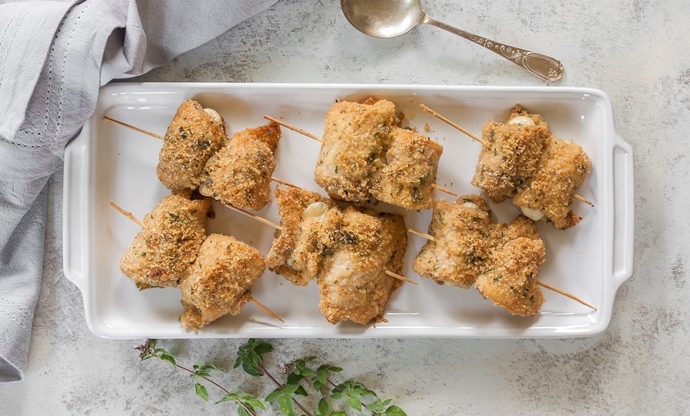 Stuffed with breadcrumbs and cheese, they're delicious served as part of an antipasti platter or as part of a main meal. This pasta dish is arguably Sicily’s most famous culinary export, combining fried aubergines with basil in a tomato sauce before being topped with grated ricotta salata (salted ricotta). It is supposedly named after the opera Norma, which was written by the Sicilian composer Vincenzo Bellini. It’s said that the flavour of this dish is so beautiful, it’s like listening to his music. 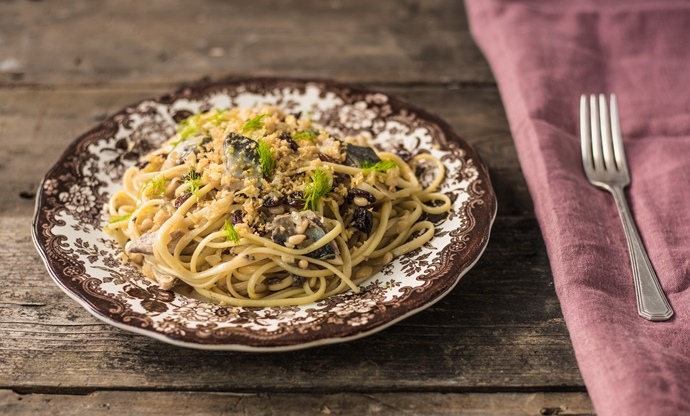 A contender for the title of Sicily’s most beloved pasta dish, pasta con le sarde is comprised of a base of chopped sardines and anchovies with plenty of olive oil and fried breadcrumbs for crunch. Many recipes also include onions, pine nuts, raisins and fennel. Sicily’s answer to Neapolitan pizza is a much thicker, denser affair, more akin to a focaccia thanks to the chewy, doughy base. 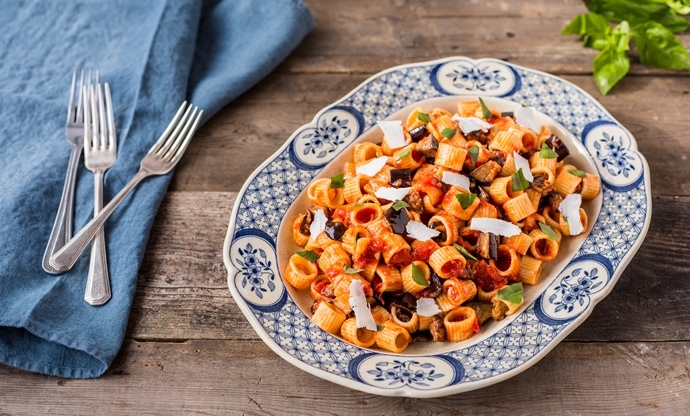 It’s usually topped with tomatoes, herbs and anchovies, and sometimes includes the local cheese Caciocavallo. You’ll find different versions of sfincione in the various provinces of Sicily.